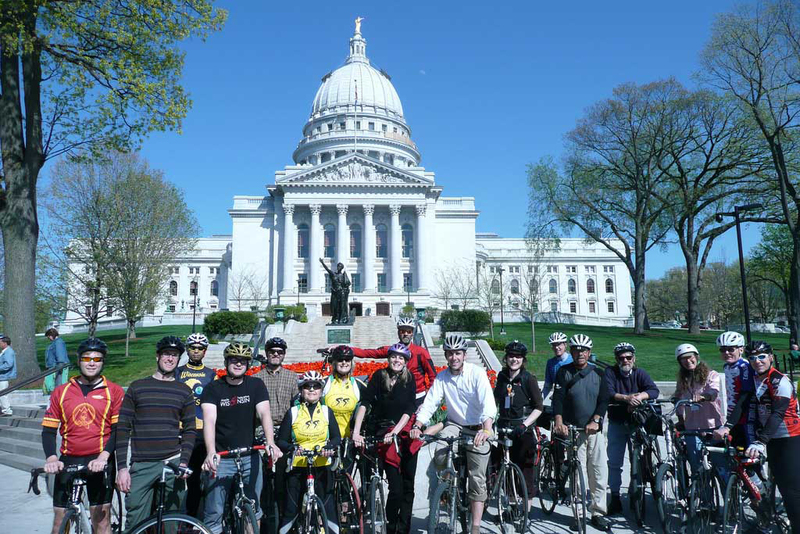 In June of 2009, the Wisconsin Legislature (thanks to the Wisconsin Bike Fed) passed a new law regarding car drivers opening their doors into a bicyclist using the roadway. Before this new law, a bicyclist was required to ride at least three feet from parked cars. (Note cars are also required to ride three feet from bicyclists). The new law, creates a duty for drivers to open their doors in a safe manner. "No person may open any door of a motor vehicle located on a highway without first taking due precaution to ensure that his or her act will not interfere with the movement of traffic or endanger any other person or vehicle." If you are riding and get hit by a car door, make sure the investigating officer is aware of the new law and fines for drivers who violate the law. If you were injured on your bicycle after hitting a car door, you may be entitled to damages for your injuries. To find out more about your Wisconsin personal injury case, contact Attorney Clayton Griessmeyer at (608) 320-6710 or (414) 207-4426.